By alexandrbabushkin , in inter on 30.08.2016 . Saul Leiter (1923-2013) was born in Pittsburgh, the son of an internationally renowned Talmudic scholar. Leiter’s interest in art began in his late teens, and though he was encouraged to become a Rabbi like his father, he left theology school and moved to New York to pursue painting at age 23. In New York, he befriended the Abstract Expressionist painter Richard Pousette-Dart, who was experimenting with photography. His friendship with Pousette-Dart and soon after, with W. Eugene Smith, expanded his interest in photography. Leiter’s earliest black and white photographs show an extraordinary affinity for the medium. By the 1950s, he began to work in color as well, compiling an extensive and significant body of work during the medium’s infancy. His distinctively subdued color often has a painterly quality that stood out among the work of his contemporaries. 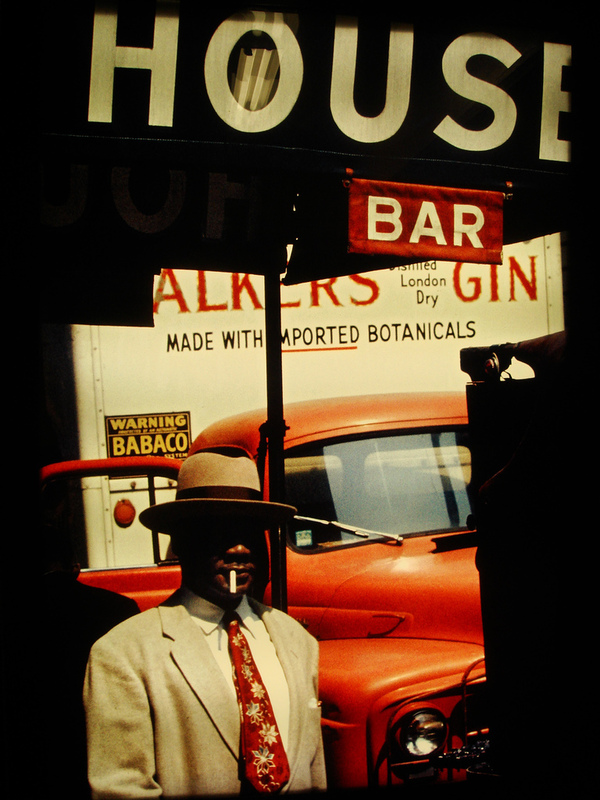 Leiter’s first exhibition of color photography was held in the 1950s at the Artist’s Club, a meeting place for many of the Abstract Expressionist painters of that time. Edward Steichen included twenty-three of Leiter’s black and white photographs in the seminal 1953 exhibition “Always the Young Stranger” at the Museum of Modern Art; he also included twenty of Leiter’s color images in the 1957 MoMA conference “Experimental Photography in Color.” In the late 1950s, the art director Henry Wolf published Leiter’s color fashion work in Esquire and later in Harper’s Bazaar. However, over the next four decades, Leiter’s noncommercial work remained virtually unknown to the wider art world. He continued to work as a fashion photographer through the 1970s, contributing to such publications as in Show, Elle, British Vogue, Queen, and Nova. Leiter is now held to be a pioneer of early color photography, and is noted as one of the outstanding figures in post-war photography. After several exhibitions at Howard Greenberg Gallery throughout the 1990s, Leiter’s work experienced a surge of popularity after a monograph, Early Color, was published by Steidl in 2006. Early Color was followed by a series of monographs and international exhibitions highlighting the depth and scope of his work in photography and painting, beginning with “In Living Color” (2006), his first major retrospective at the Milwaukee Museum of Art. Leiter was the subject of several solo shows thereafter, including the Fondation Henri Cartier-Bresson, Paris; the Jewish Historical Museum, Amsterdam; Musée de l’Elysée, Lausanne; and Diechtorhallen, Hamburg. Leiter’s work is featured in the book The New York School: Photographs 1936-1963 by Jane Livingston and in Appearances: Fashion Photography Since 1945 by Martin Harrison. His work is included in the permanent collections of The Museum of Fine Arts, Houston; The Art Institute of Chicago; The Baltimore Museum of Art; and the Victoria and Albert Museum, London, among many other public and private collections. 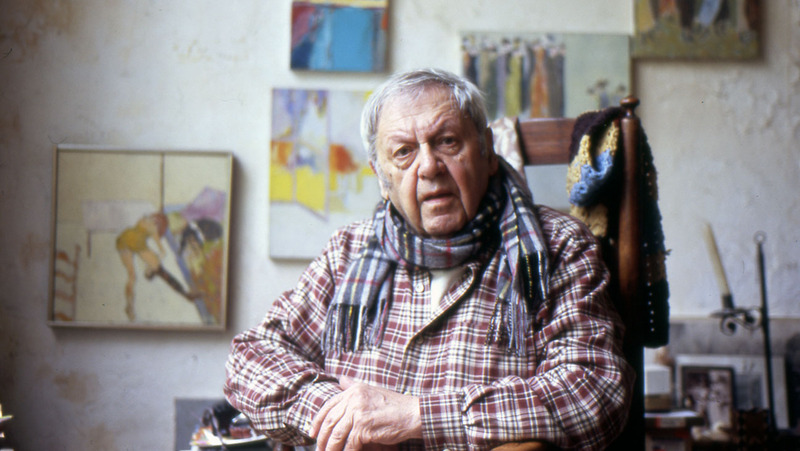 Leiter was the subject of an award-winning documentary by Tomas Leach, titled “In No Great Hurry: 13 Lesson in Life with Saul Leiter” (2012). Saul Leiter continued to paint and photograph through the end of his life.